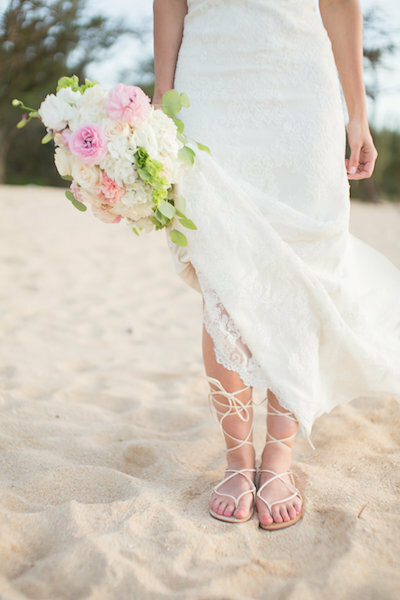 Dakota and Josh’s Maui Venue Wedding was full of the most beautiful details! From custom florals to meaningful touches, this ceremony had it all. Josh loved the fact that his late mother’s favorite flower was incorporated throughout their wedding day. Her favorite flower was the bird of paradise and we love the way, Dellables, made it a thoughtful focal point in the flower arrangements. 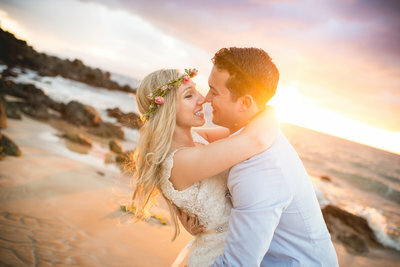 The bond between these two at their Maui Venue Wedding was so strong, the smile on their faces say it all! Just look at them 🙂 . What we love most about their relationship is the way they got together. They met at work and it’s such a funny story! He thought she was full of herself and she thought he was stuck up, but they eventually fell in love and now all they do is laugh together! We have every confidence these two will have the most wonderful life together! 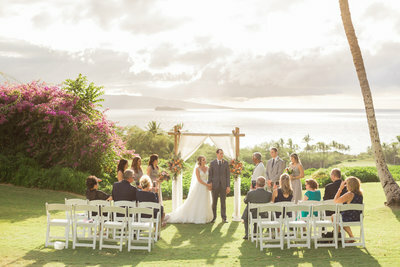 Thank you, Dakota and Josh, for giving Simple Maui Wedding the opportunity to make all your wedding dreams come true. Congratulations and Warm Aloha!